Bringing communities together to create urban growing spaces that have a positive impact. HEINEKEN Ireland’s “Growing with our Communities” initiative aims to bring communities together to create urban growing spaces that have a positive impact – socially, environmentally and economically. The initiative is “rooted” internally with HEINEKEN Ireland employees and in collaboration with GIY, through a bespoke GIY@Work programme called #StarGrowers. Having recruited their #StarGrowers as part of National Workplace Wellbeing Day HEINEKEN Ireland intend to “Grow it Forward”, its take on Pay it Forward. Ten Community Groups around the country will be given access to their own GIY@Work programme and some “seed” funding. 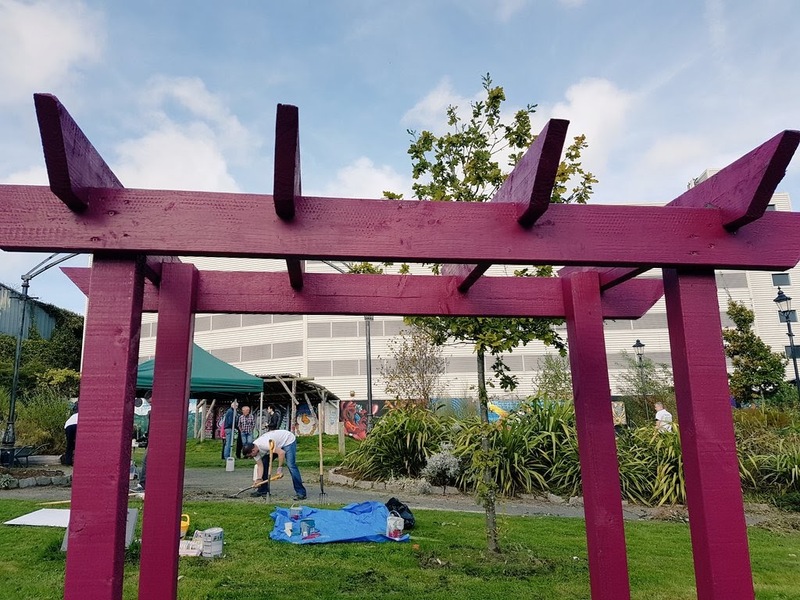 Star Garden - Blackpool Community Centre – refresh and revitalise the Blackpool Plaza (communal space) through colour and edibles. Repainting walls, 6 benches, 18 planter boxes. Supported by Reimagine Cork (Volunteer organisation focused on rejuvenating Cork's laneways, urban green spaces and derelict buildings) and Cork City Council. 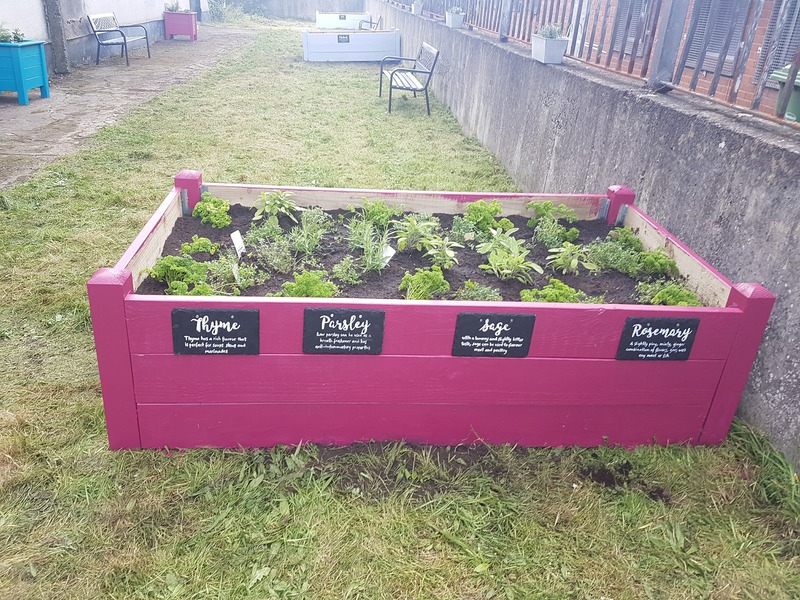 Grow it Forward – Cork Simon Tír na nÓg High Support House Garden (15 volunteers) – working with local volunteers and residents to rejuvenate their therapeutic garden – reclaiming their raised beds, cleaning and reinstating their poly tunnel and creating a herb garden. Announcing the initiative, Sandy Boundy, Communications & CSR Manager of HEINEKEN Ireland, said: “This builds on HEINEKEN’s strong sustainability credentials outlined in our “Brewing a Better World” sustainability strategy. To make great products, you need great ingredients and that’s why our environment is so important. Our long-term strategy is designed to create shared value for our business, our customers and our stakeholders and a key focus of this strategy is growing with our communities. 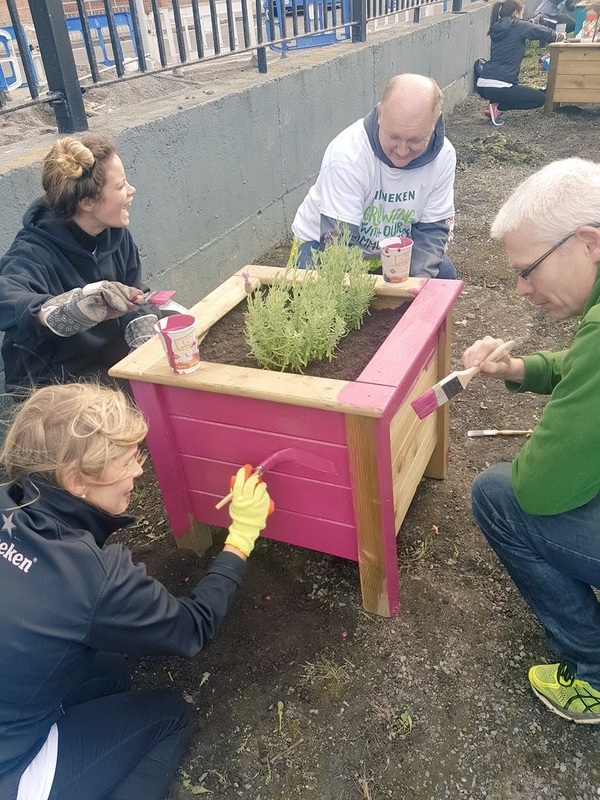 Volunteering in HEINEKEN Ireland is part of who we are and our GIY@Work partnership provides a great platform for our employees to get involved. We are very excited about the collaboration and are looking forward to “Grow it Forward” into our local community”. St. Michael's Community Centre in Inchicore is a hub for the local community. From Irish dancing to slimming clubs to cookery classes for retired people it offers so much to the local people. One thing it never had was a usable outdoor space. A long, shadowy, overgrown stretch down the side of the building had some potential, but there was nobody to there to unleash it. Nobody, that is, until HEINEKEN Ireland and GIY stepped in with a van full of plant power from GIY and a minibus of people power from HEINEKEN Ireland. A committee of volunteers created Newstreet Garden in the heart of Waterford City in 2014 from a patch of neglected waste land. For a year it was a little oasis in the city, lying in the shadow of a multi story car-park around the corner from a busy shopping street. Unfortunately the dedication of the volunteers was no match for the huge task of protecting and maintaining the garden. After several incidences of vandalism and anti-social behaviour the garden became a no-go area in the city. It only took one day with a team of HEINEKEN Ireland salespeople and the full force of the GIY team to restore Newstreet Garden to its former beauty. We also have to recognise the wonderful volunteers from Pathfinders who got stuck in to help us all out.